Put the beef, garlic, thyme and some salt and pepper in the bowl and work together with your hands until evenly mixed and slightly sticky. Divide into 4 portions and shape into patties. Cover and chill for 30 min. Brush the patties lightly with olive oil and barbecue or grill for 5 minutes on each side until lightly charred and cooked through. 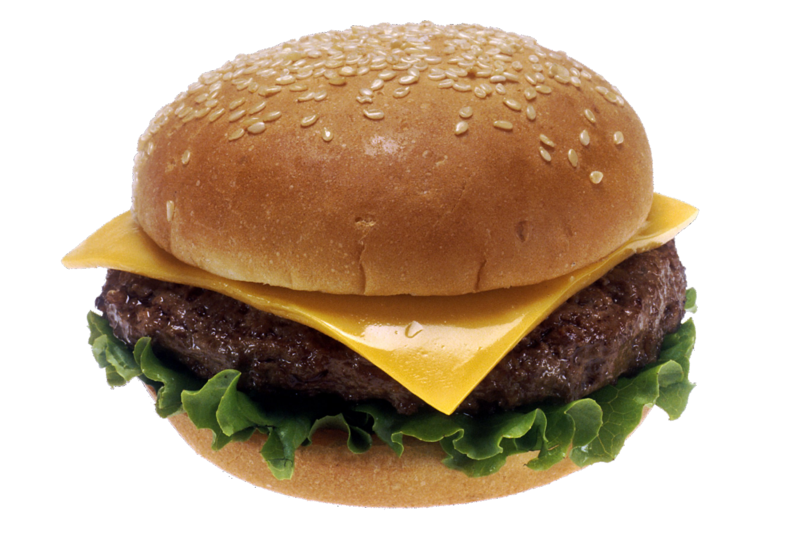 Top the patties with the cheese slices set under a hot grill for 30 seconds until the cheese has melted. Keep them warm. Toast the buns, then spread each base and top with mayonnaise. Add the lettuce leaves, cheese-topped patties and tomato and onion sliced. Add the bun tops and serve hot.